This post will cover the Imbolc / February Eve ritual and celebration held by the Circle of Fountains. To see the Circle of Fountains 2016 Imbolc ritual, click here! 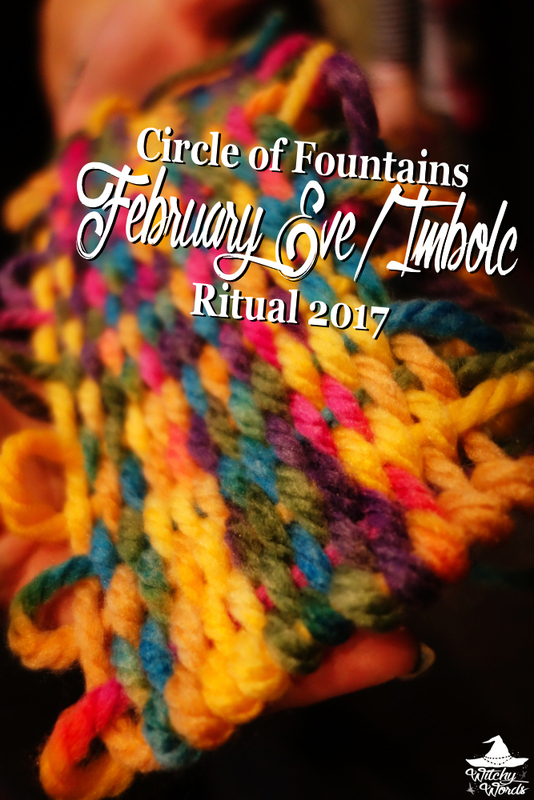 This year's Circle of Fountains February Eve ritual was written by Amy! Amy identifies as Eclectic Wiccan, so her rituals often lean towards that lore. That being said, Amy always leaves space for everyone's beliefs. I thought this ritual was particularly interesting and an amazing way to celebrate the holiday! A note that Circle of Fountains would like to thank Hollis Renewal Center for allowing us to rent their space for our celebration! 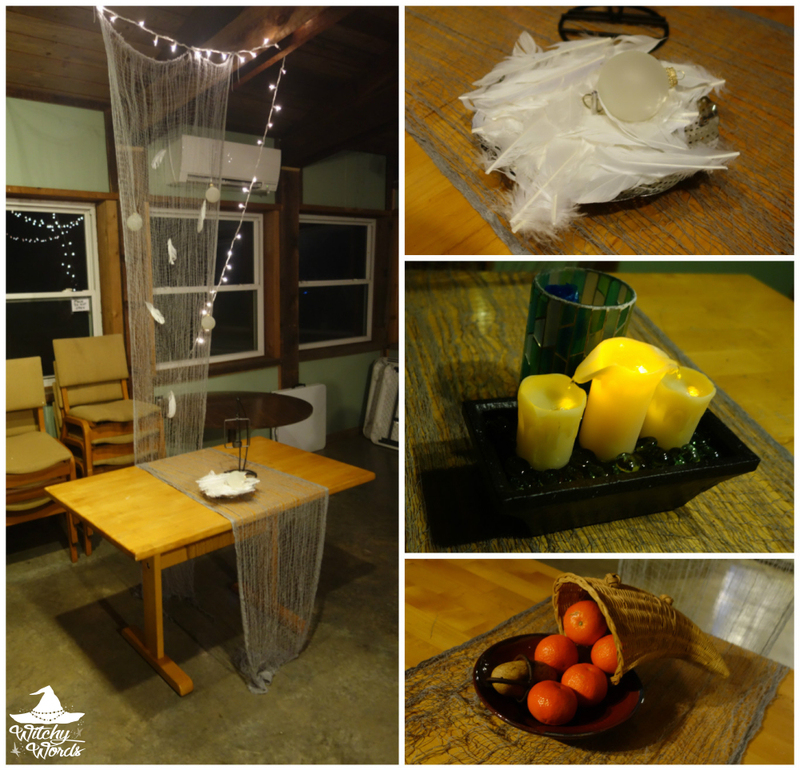 It was fun to treat ourselves and get away for a few hours, and their space was pretty amazing! Our rituals usually begin with a craft. Using air-dry clay, Amy asked us to craft our warrior-selves: How we pictured ourselves on the winning side of a battle. The caveat is that each figure would need a place to hold two slips of paper: One on which we wrote the battle we're fighting; and one on which we wrote what winning that battle would look like. We then placed our figures in front of the fire to dry. Next was our potluck dinner. Because we weren't sure what facilities the lodge would have, we decided on a picnic dinner, complete with fried chicken, deli sandwiches, chips, potato and macaroni salad. For dessert, we had cheese cake, fruit salad and brownies. And, to top it off, we had delicious sangria. Following the potluck, we headed to the ritual area! Amy had, of course, decorated the space beautifully, allowing for the fireplace to be the southern corner of the ritual area. To raise the circle, Amy spun ribbon around us as we sang "Ladies Spin." She then gave us a moment to invite the spirits and deities we deemed appropriate for the holiday and celebration. We then turned our attention towards the loom in the center. Stepping forward, Phaedra stated that she was The Spinner, the beginning, the potential. She attached the thread to the loom as we welcomed The Spinner to join us. Laura then stepped forward, stating she was The Weaver, treading your paths with you, dancing with you in the moment. AS she threaded the vertical threads of the loom, we greeted The Weaver into the circle. Then I stepped forward as The Ending. Many may fear me, but I hold your hand as you transition from one place to another, getting to see your completed pattern. Using a pair of scissors, I cut the thread and tied it to the end of the loom. Amy then asked us to weave our victories into the tapestry, telling the story of our triumphs as we threaded the yarn through the loom. Successes ranged from career-related to writing to money and everything in between. Some victories made members beam with delight while others sobbed with relief. Once everyone had weaved their victory into the loom, we released the circle by dropping the ribbons. But our celebration wasn't done yet! Amy removed our beautiful jeweled-colored woven tapestry from the loom and took it to the fireplace. Using the fire, we threw our tapestry in to share our victories with the world, reminding others that everyone is fighting a battle, that difference creates beauty. Amy then leaned down to our figurines, still in front of the fireplace drying, and lit the papers ablaze. The papers went up in a quick, fiery burst! But all was not burned. Amy explained that the paper with our battle fought written upon it was charred away. Only the battle won, our victory, remained. Sure enough, that's exactly what was left! Amy's ritual was a wonderful example of interweaving multiple faiths into a beautiful ritual. Thank you again to Hollis Renewal Center for the space! From my family to yours, we hope you have a wonderful February Eve! To see the previous sabbat, Yule/Midwinter, click here!